In the aligned worlds of self-publishing and DIY culture there’s a fertile cross-pollination between zine-making and comics creating. 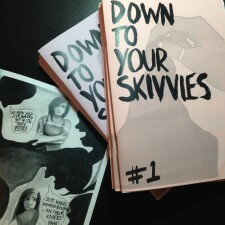 This column has never been shy about covering work that straddles both realms whether that be publications like One Beat Zines’ Sleater-Kinney tribute Not a New Wave or Keara Stewart’s A Bit of Undigested Potato, both of which combined comic strips, illustration and prose in one anthology offering. 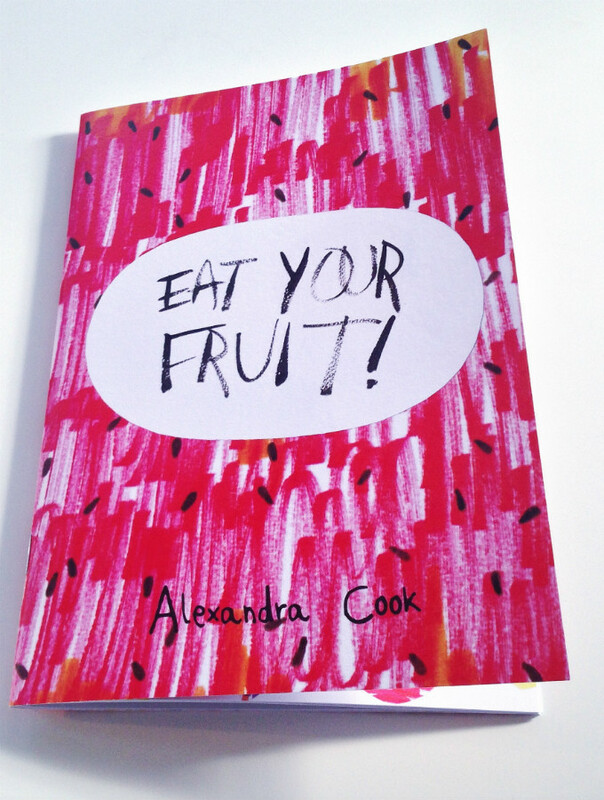 Alexandra Cook’s Eat Your Fruit! is a compilation of 24 illustrations of anthropomorphised fruit delivering speech balloon-based fun facts about themselves. This zine was one of many items I picked up earlier this summer at the Alternative Press Takeover, on this occasion from the First Publications table. Cook has compiled a jaunty collection of images here that are presumably aimed at a younger readership. Her characters are uncomplicated in design (you can see more of them in the top banner image on this article) but that same simplicity lends them an endearing charm that will undoubtedly appeal to that presumed target audience, and her vibrant use of colour is eye-catchingly enticing. 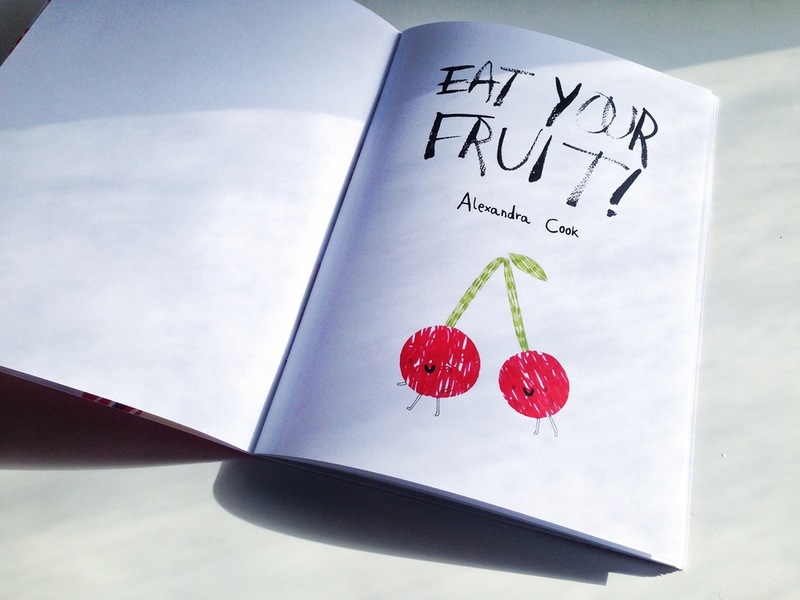 Eat Your Fruit! 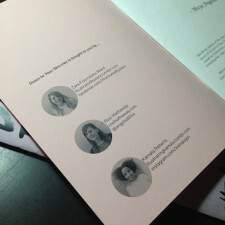 has no pretensions of presentational complexity but it is a breezy and light-hearted, smile-inducing zine, and a welcome introduction to a new name on the self-publishing scene worth keeping an eye on in future. 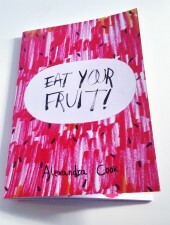 For more on Alexandra Cook’s work check out her site here and follow her on Twitter here. You can buy copies of Eat Your Fruit! here priced £7.00. Down to Your Skivvies! #1 is available from Rozi Hathaway’s online store here priced £3.00. 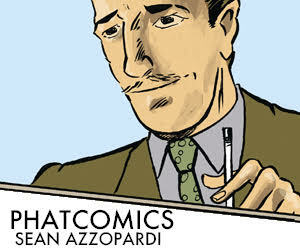 Every so often I cover a creator in this column whose work is consistently critically acclaimed and yet who I feel never quite gets the level of recognition they deserve. Alys Jones is one such talent. Her book Beyond the Wire from Atlantic Press was a formidable mix of stark First World War imagery, metafictional narrative approach, and inventive tactile presentation. I covered it here in this column and interviewed Jones at the same time a couple of years back. Out of the Corner of My Eye I See is another gorgeously presented physical object. Printed on fabriano paper with a hand customised cover it opens up in portrait fashion and comprises nine single illustrations bringing a nocturnally-charged short poem to life. It’s an excellent representation of Jones’s ability to merge the classical with the haunting, and has an otherworldy atmosphere and a dreamlike quality to its eerie narrative flow. Jones has such a distinctive artistic voice – one that lends itself to both the burlesque and a rooted realism with equal aplomb – that it seems inexplicable to me that she’s not far more well known on the UK small press circuit. 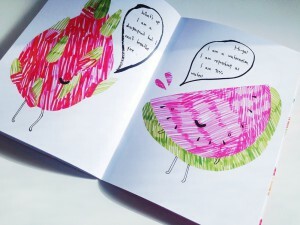 For more on the work of Alys Jones visit her site here and follow her on Twitter here. You can buy copies of Out of the Corner of My Eye I See from her online store here priced £7.00. There’s something oddly entrancing about Deacon’s often oblique storytelling style, and the way in which her mercilessly dark and uncompromising visuals pull the reader inescapably into their clutches. Hex is a fine example of the latter. This examination of woman and the artist as witch has an incredibly small print run and consists of just 16 pages of imagery that I can only describe as Charles Burns meets Ken Reid in tone. 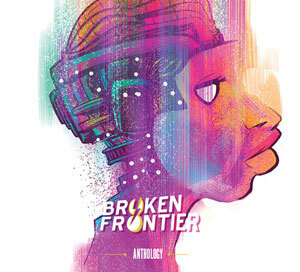 One of the most intriguing new creators I’ve encountered on the UK small press scene this year. 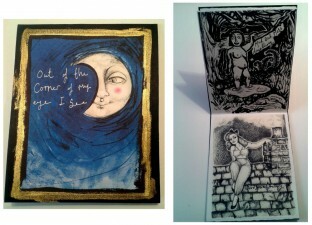 For more on Brigid Deacon’s work visit her site here and follow her on Twitter here. 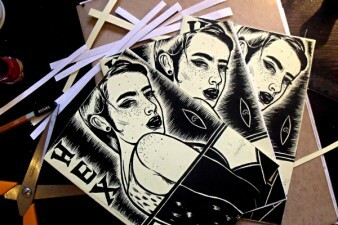 Hex is available from her online store here priced £4.00. Raechel Leigh Carter’s Merde in France is by far the most eccentric piece of self-publishing on this inagural round-up list! 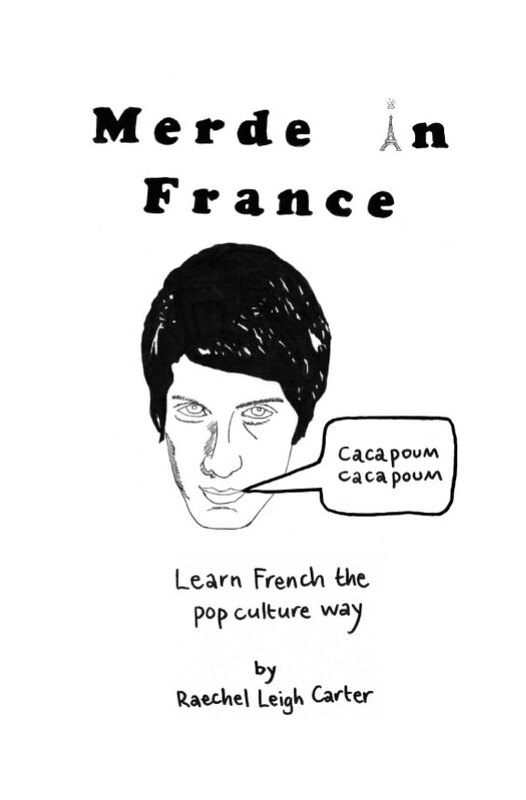 Carter’s offering is a tongue-in-cheek manual on learning French vocabulary through pop cultural word association. So “J’en ai marre” (I’m fed up) is linked to an illustration of The Smiths guitarist Johnny Marr, Adam Ant becomes forever connected to “A demain!” (see you tomorrow), and “ému aux larmes” (moved to tears) is represented by a sobbing Rod Hull and Emu. With some very specific light entertainment and popular drama references herein, this zine is unlikely to translate that well outside of the UK perhaps. But within these shores it will definitely induce a sympathetic twinge from anyone who found language lessons at school a tiresome chore to sit through. Some of the jokey linguistic playfulness on show here is, admittedly, a little tenuous in places, and Carter’s art is functional rather than involved, but Merde in France is amusingly idiosyncratic in concept. For more on Raechel Leigh Carter check out her website here. You can buy Merde in France here priced £5.00. Thanks so much for the shout out, Andy! And ‘Out of the Corner of My Eye I See…’ looks beautiful!